Start your day with even more weird! 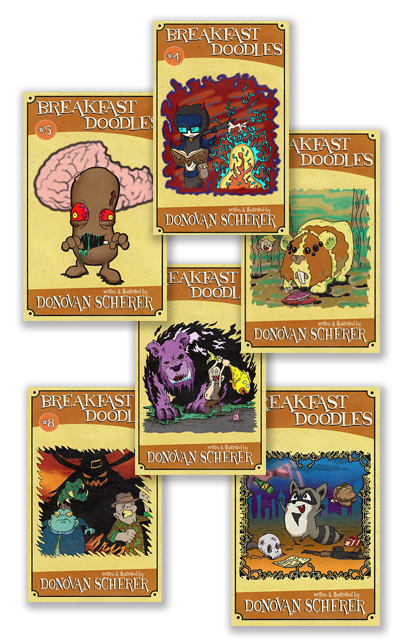 If you need a fix of comic strip monsters, weird creatures, and hippie mad scientists, then Breakfast Doodles are a great way to start your day, finish it off completely, or just take a break from the monotony of everyday life. Think post-apocalyptic Alice in Wonderland with robots! Double-P.S. Don’t forget! If you’re going to Wizard World Chicago, use the code DONOVAN20 to save 20% for your ticket. If you think Weird is part of a complete breakfast, I hope you’ve brought your appetite! Breakfast Doodles are the daily drawings of Donovan Scherer. Created as a reason to get out of bed and make some art before heading off to the day job, this morning routine has quickly become a horrible addiction of our dear artist, leading to strange creatures and cats with workplace depression. Join him as reality spirals out of control in this first collection of artwork and stories. Double-P.S. Breakfast Doodles aren’t currently being served up but if you’re starving for artwork, feel free to bug me into getting back to serving it up daily. 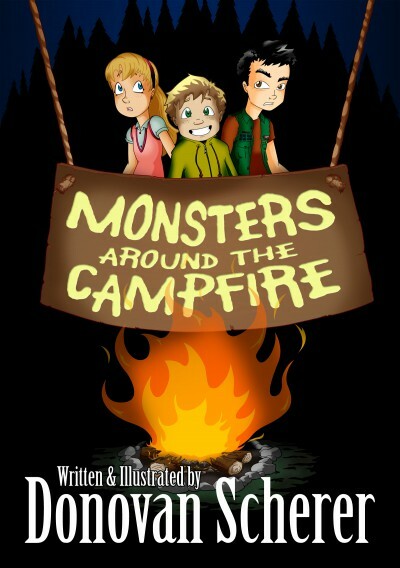 The monsters are ready for summer! Starting off this weekend, Fear & Sunshine and everybody else will be hitting the road. Although we’re not traveling too far from the land of Wisconsin, we’re having events every weekend until Wizard World Chicago. For the full list of shows and details, visit the calendar. You can also grab the free, printable coloring page flyers while you’re there. And remember, if you bring a colored up ZomBean or are wearing one of the super cool new t-shirts at the show, you’ll get free button! 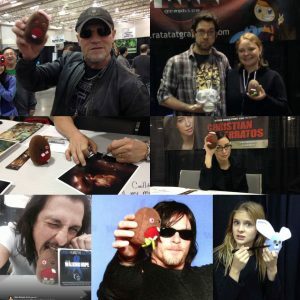 Walker Stalker Chicago is back! If you’re a fan of The Walking Dead, Fox’s Gotham, Netflix’s Marvel shows, or CW’s Arrow (and a whole lot more), this is the place to be to meet a bunch of the people from the show. And aside from all the celebrity stalking you’ll get to do there, Walker Stalker is one of the best shows in the area to stock up on all sorts of great horror memorabilia. Like ZomBeans! 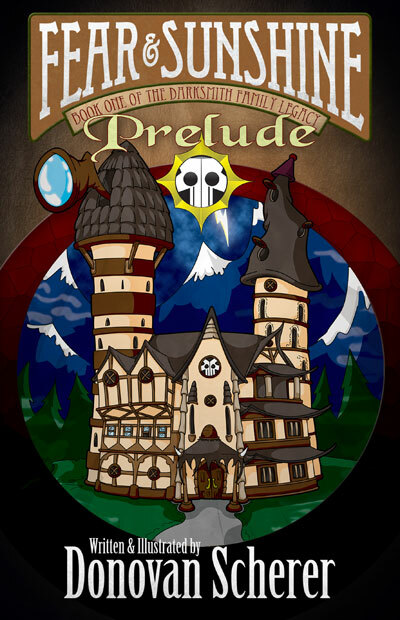 If you need a taste of horror before Walker Stalker, pick up your free copy of Fear & Sunshine: Prelude here. Then, when you go get some autographs, you can tell your favorite celebrity which character in my books they should play when we start making movies. The show will be at Donald E. Stevens Convention Center in Rosemont, IL on April 7th and 8th. You can find a whole lot more details here. 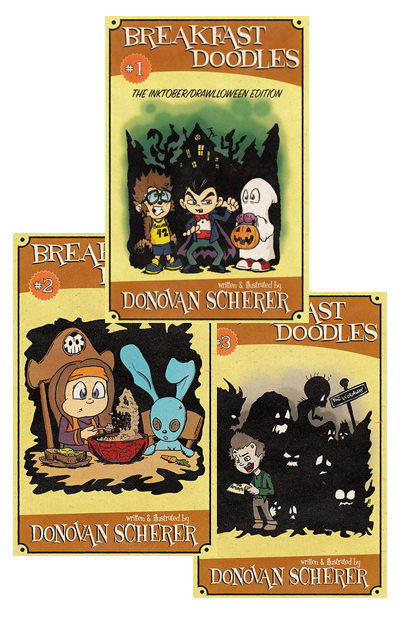 And if you need to stretch out your finger bones, here’s a big, free bundle of Fear & Sunshine coloring pages that you can print up. Now for some quick updates for the new year! 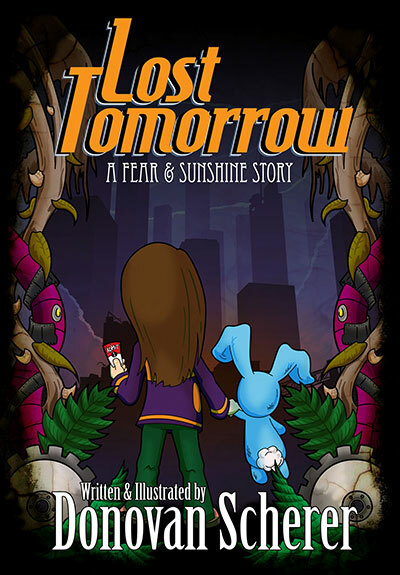 The next Fear & Sunshine book is still in the works. The whole story is all worked out (and it’s awesome), so now we’re ironing out some details, making sure the Madness all makes sense, and will hopefully be running full speed on the main draft sooner than later. ZomBeans! We’ve got a fresh batch of plushies on their way as I type this but I’m talking about the game. With a recent update to Apple device software, people can no longer get the ZomBeans app on their phones or tablets. Android devices are okay… for now. So, my choices are either to take the game completely off the iTunes store or try to fix it up. Of course, I’m going to try and fix it up because I never want to see the end of my to-do list. Unfortunately, the code for the game is soooo outdated that it’s going to need a full rebuild in a different type of program. Time to learn Unity! And the third order of business is something you’ve either been waiting on for way too long or you’ve never even heard of it. Creature of the Week! The greatest battles between make-believe weirdos that has ever existed should be returning on March 10th. If you want to get involved in deciding who’s the coolest ghoul or the ghost-est with the most-est, elections will be tallied up on Instagram, Facebook, and Twitter. Use those links to follow me and keep an eye on things. The winners of these super-vital-to-the-world elections will get t-shirts made. Yeah, if you haven’t seen it, Studio Moonfall has t-shirts. Go get ‘em!